Just two blocks from the water in the heart of Morro Bay you&apos;ll find a walkable downtown filled with original makers, boutiques, and intimate dining options. The shops here are unique - an extension of the cities&apos; vibrant artistic community. Many owners craft the very goods and services they sell, making your shopping experience truly one of a kind. The Art Center Morro Bay was established in 1951 and has been exhibiting member artwork ever since. Located on Main Street, the art center holds a variety of art shows throughout the year with accompanying public receptions. They also invite the public to participate in art classes (both kids and adults), demonstrations, and workshops. And although many of the pieces showcased in their exhibitions are available for purchase, there are even more regional art and crafts to take home during their Art in the Park series. The Art Center hosts these art fairs three times a year (Memorial Day Weekend, July 4th weekend, and Labor Day weekend) at Morro Bay Park. 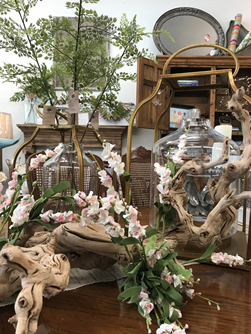 Seashells and Sawdust sells used, repurposed, and new furniture, collectibles, and accessories for your home. On any given day you will find Shannon, the owner, near the register carefully applying the next coat of milk paint to the newest salvaged dresser. They also carry jewelry, painting, and home décor from local (San Luis Obispo county specific) artists. And with an inventory that’s always changing, you’ll never know what exactly you’ll find. Lina G’s – All The Trimmings invites you to take the making to the next level by creating something of your own from the treasure-trove of antique and authentic craft and fashion accessories. Lina herself is a designer and uses store materials to create headdresses for world class dance productions. 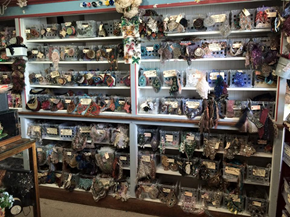 The shop itself, since 1998, is a kind of warehouse stocked floor to ceiling with beautiful ribbons, buttons, embellishments, fabrics, and more to discover. Homemade hanging planters made from found beach driftwood and wearable jewelry await at Beads by the Bay. But perhaps more intriguing is that they have everything you could need to make your own. The owner, Susan, is often found at the register and there to help you find whatever it is you’re looking for. 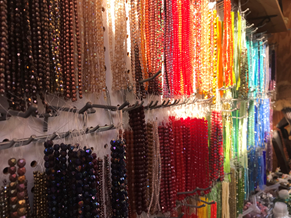 Then take your raw materials and head out back to the Secret Garden – a place that some locals don’t even know exists – and utilize their class space and tools to make your wearable art. There is even a “potting bench” where you can arrange your new plants in a new planter. With the sun streaming through, it really is a magical place. Central Coast Tattoos is a family owned tattoo and piercing shop. Established in 1992 you will find local experienced tattoo artists that will help you create a memory and leave you with your very own piece of Morro Bay art. Chrys, the owner and tattoo artist, is also a Register Nurse…so you know you’re in good hands. From dignitaries to Hollywood actors, Mike’s Barber Shop has seen their share of high-profile clients. Open for over 78 years, the shop was around when Highway 1 used to run through Morro Bay and curve right in front of the storefront. Visitors to Hearst Castle would stop for a haircut to look their best. Take a step back in history for an authentic barber shop experience where Barber Jon, the owner, treats barbering as an art from. 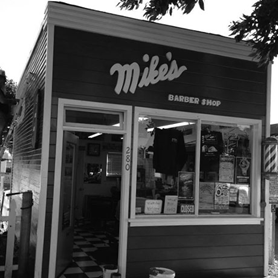 And Mike’s Barber Shop is bridging the old and the new with their green initiatives making the shop eco-friendly without sacrificing the feel and history of the shop. Now it’s your turn to take a stroll around our downtown. 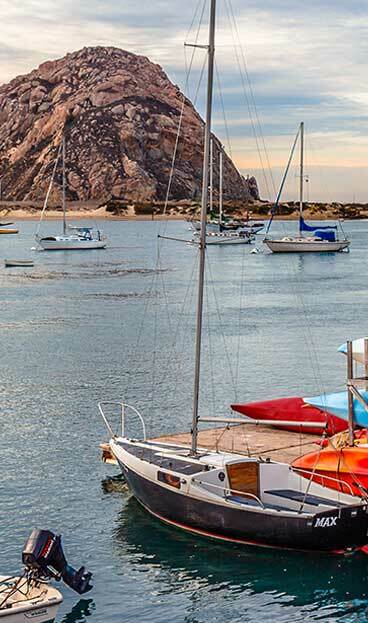 Meet the owners and explore what we ‘make’ in Morro Bay.